Autumn is definitely being fashionably late here to the coast of NC, while Summer is still trying to linger on. We’ve had a taste of those cool(er) temps and hopefully soon they will be here to stay! Time to break out the cozy sweaters, order a PSL, and call Grandma for her yummiest chili recipe! Fall. Is. Coming. While I love a good chunky sweater, the perfect fitting denim button-up or the most trendy neck scarf, I don’t know about you, but by the end of a windy fall day my long mane is needing some love. What is it about the cooler weather that creates the dreaded tangle to form underneath your hair?! I’m sure there’s some science to it but I find that most days I’m tossing my hair into the perfect topknot or high pony. Recently, I have been using (and might I add, fallen IN LOVE with) Missio’s Coconut Cleansing Powder dry shampoo to draw out my wash and create the perfect, textured high hair styles. 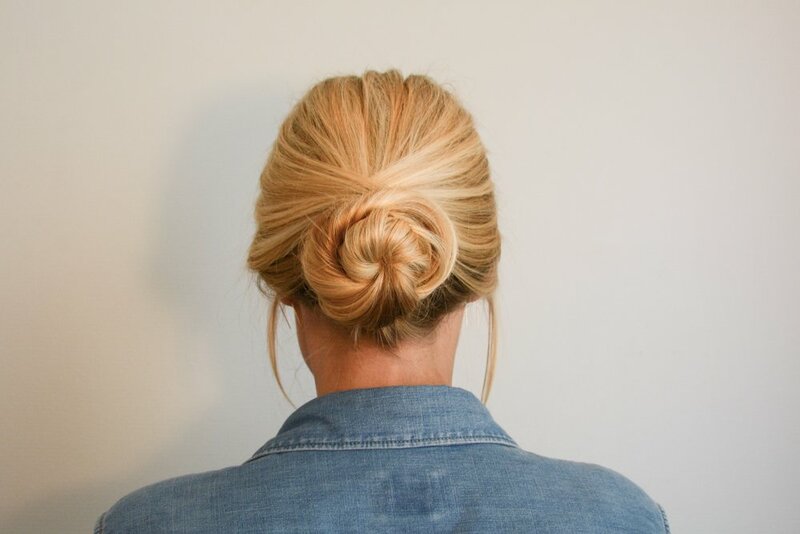 Cute and simple all while avoiding that knotted underneath mess. Can I get an Amen?! And not to leave out those babes who like to stick with a lower style hair-do. I've got the perfect and EASY fix for you too! First, part the front sections of your hair from ear to ear. Leave them out while putting the back half in a low bun. Second, take one of the front sections of hair and wrap it above and around the bun, securing it underneath with a bobby pin. Continue to do the same thing with the other front section. Now mess it up! IMO, the messier the better! So pull some front pieces down around your face, pull at the top near your crown to loosen up the look or simply just pull your bun apart. And there you have it! Quick and easy! So Autumn, we welcome you with open arms and fun hair. Check back here in a few weeks for three ways to style my favorite fall staple piece that I bet is already in your closet too! Sign up to receive news & updates about MISSIO product launches, discounts, real stories, and more.